This Boeing was number 2000 in delivering Boeing aircrafts to the Chinese commercial airline industry. On a tarmac in Seattle on November 30th local time, the Boeing Company completed delivery of a new yet historically important airplane to Xiamen Airlines. 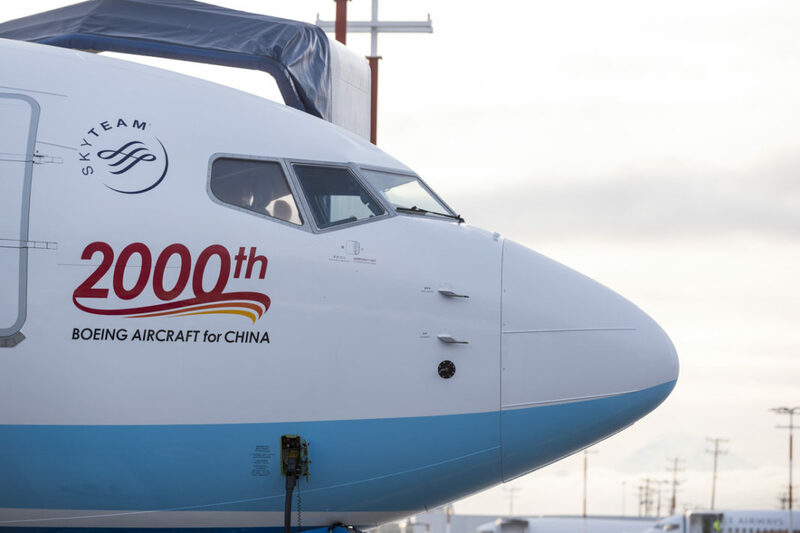 The particular addition to China’scivil aviation fleet had a unique message painted on its hull, 2000th BOEING AIRCRAFT for CHINA, in celebration of a meaningful milestone, the two thousandth aircraft to be delivered by Boeing to China’s civil aviation sector. As the Chinese economy continues to grow, on the heels of the expansion of the national reform and opening up policy, China’scivil aviation has become one of the country’s fastest-growing industries. In 1978, Chinese airlines transported 2.3 million passengers. In 2017, the sector served 550 million passengers, 239 times the amount served in 1978 and representing 29 percent of the country’s total for all forms of mass transportation. Older PostAviation Terrorism, President George H.W. Bush, PAN AM 103: Remember?